It’s a constant party on the bottom, business on top with the Richer Poorer men’s August Everyday sock. 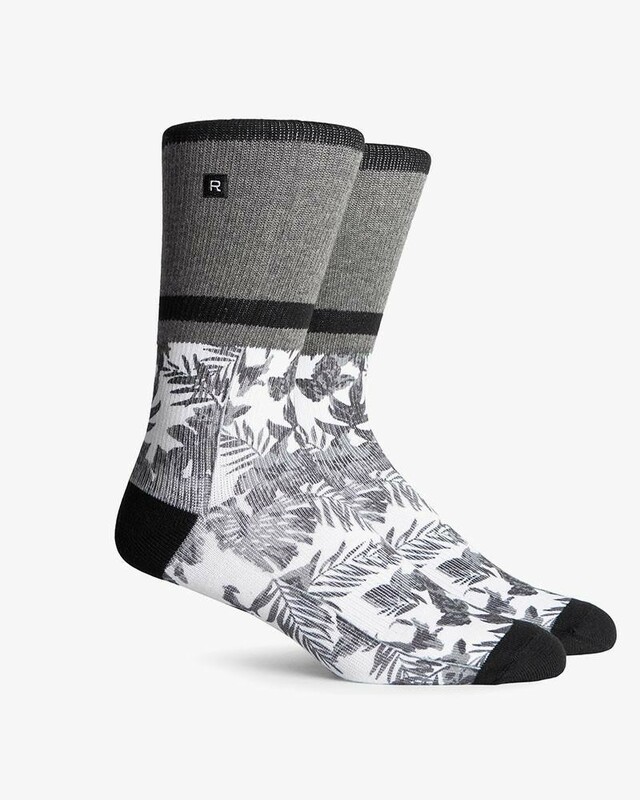 With no reason to sacrifice style for function, this Everyday Midweight Crew sock is an easy go-to when you want a little extra comfort. •	Classic tube sock styling. •	Extra arch support keeps the sock in the perfect place while giving your arch needed protection. •	Double twisted yarn gives a midweight feel. •	Non-binding rib welt keeps the socks from quitting on you. •	Strong low profile seams to eliminate irritation and strengthen durability.